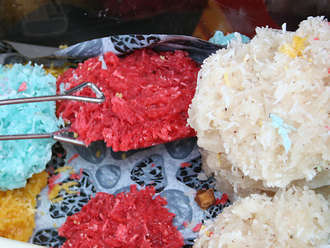 ‘Kokada’ freshly grated coconut patties held together in a sugar syrup, tinted with food coloring for a festive look, should not to be confused with the more popular gooey coconut macaroon or hard Vietnamese ‘kẹo dừa’. 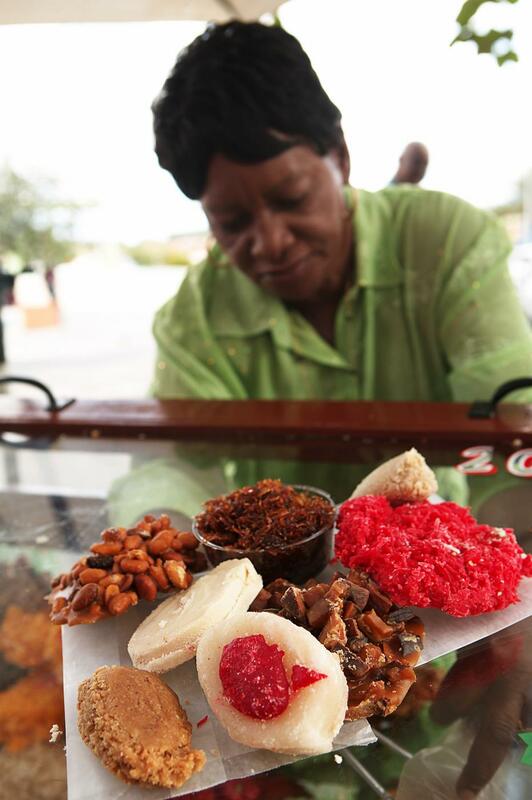 Typically sold as colorful palm-sized patties by street vendors, bite-sized versions (in small cupcake wrappers) tend to adorn Curaçao-style dessert table at weddings, first communions and birthday parties. Bring water and sugar to a boil until the mixture becomes a thick syrup. Add grated coconut and lime rind. Continue to stir with a wooden spoon until the mixture thickens. Remove from heat. Discard lime rind and scoop 1/4th of the coconut mixture in a small bowl. 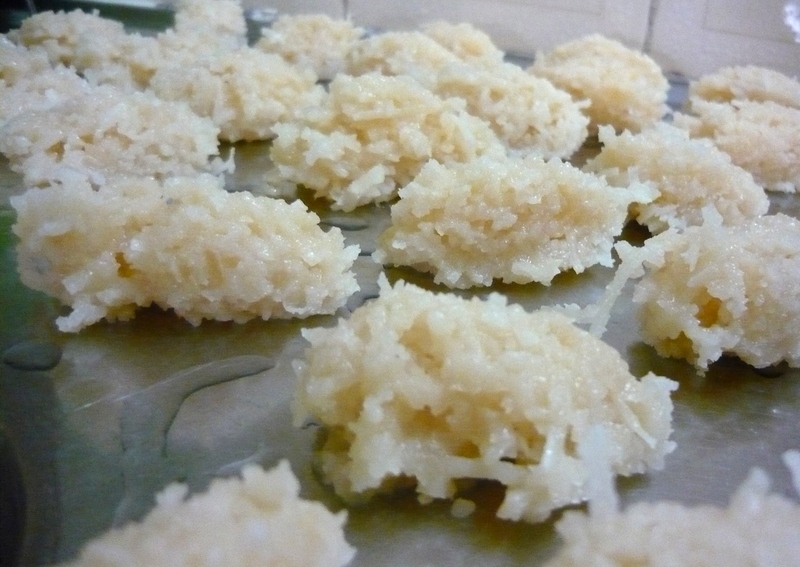 If the coconut mixture becomes too hard to work with, add a little hot water and heat again while stirring.